Joe Wiebe is the Thirsty Writer. He writes mainly about craft beer, as well as wine, spirits, sports and travel, for a wide range of print and online publications. Currently, Joe is researching and writing two books: Craft Beer Revolution: An Insider's Guide to BC Breweries (Douglas & McIntyre, Spring 2013) and Tales from Brewery Creek (Anvil Press, Fall 2013). Read more at http://www.thirstywriter.com and follow him on Twitter. Cédric Dauchot and Karen Skadsheim in the depths of Townsite Brewery. Starting your own brewery is simple: buy some equipment, hire a brewmaster, and within weeks you’ve got a product to take to market. The only barrier to entry? Jumping through the bureaucratic hoops of permitting and licensing. The unmistakable drone and wail of a bagpipe erupts, masking the perpetual industrial hum from the Catalyst paper mill that is background noise for residents of Powell River’s historic Townsite neighbourhood. The piper, a woman in Celtic garb, begins a slow march starting at the old Federal Building. An eclectic procession follows, beginning with a bicycle rickshaw bearing a bride and groom, and in their laps – a keg of beer. Next comes a pair of decorated goats (a nod to German tradition associated with bock beer). A ragtag group of about 40 people falls in behind, some in decorative costumes, others in cycling or hiking gear, all chuckling and chatting excitedly. It’s the first sunny spring afternoon of the year, an auspicious sign for the launch of Powell River’s brand new craft brewery, Townsite Brewing Inc. The parade is a short one, just once around the block to McKinney’s Pub in the old Rodmay Hotel, where the groom hands over the ceremonial keg. Everyone crowds into the pool room for a chance to be the first to taste Zunga golden blonde ale or Tin Hat IPA. The first pitchers arrive and, soon enough, glasses are raised in a toast. By the looks of appreciation and the speed at which the glasses are emptied, it’s clear the beer is a winner. Interactive Map: BCBusiness Guide to Breweries in B.C. Karen Skadsheim can’t refrain from hopping up and down and letting out a whoop. For the brewery’s founder, the launch has been a long time coming. “Bad Karen,” as her friends affectionately call her, is so well-known and well-connected in Powtown that you’d assume she’s a local, born and bred. But in fact, she’s a transplant from North Vancouver, part of a wave of urban ex-pats who have fled the bustle and real estate prices of Greater Vancouver for the artsy-outdoorsy vibe that Powell River now offers – along with well-maintained houses with ocean views that can be had for less than $200,000. Skadsheim landed in Powell River in 2007 after a year spent travelling abroad, temporarily crashing with her brother (who lives in a Townsite church he bought for $17,000, but that’s another story). She kept her things in storage while she sorted out her future, but after a year she finally realized that her future lay in Powell River, so she moved into the former rectory next door. The only thing missing for her was craft beer. “This brewery is all about me and my needs,” she explains with a laugh. 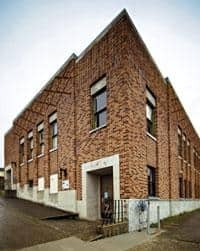 While rumours of new microbreweries opening on the Sunshine Coast came and went, she and her friends often talked about the perfect building for such a brewery: an architectural treasure that had sat empty for a long time, it had been built in the Streamline Moderne style by the federal government in 1939, to house the post and customs offices. One night, probably after a couple of beers, she emailed the address on the For Lease sign, saying she was looking into setting up a microbrewery in town and wondered what the rent would be. To her surprise, she received a response immediately, and an enthusiastic one at that. “Oh my God, a brewery would be perfect,” the landlord wrote. “Do you need a business plan? Do you need some money? Because I have a business plan and I have money. Without any entrepreneurial experience herself, she enrolled in the federal government’s Community Futures program, which provided her with training in setting up the business plan, and then supported her with a modest salary during the crucial startup phase when there are many expenses but no revenue. The brewing equipment and necessary renovations to the building cost about $500,000, and the only other real hurdle she encountered was when the brewer she intended to hire took another job in Victoria. But in the end, that challenge had a positive result, too. Karen Skadsheim uses reusable growlers. Cédric Dauchot, Townsite’s brewer, grew up in Belgium, where he graduated from L’Institut Meurice in Brussels in 2004 with an engineering degree in the science of brewing. He took a job with the French chain Les Trois Brasseurs, which sent him to Montreal to set up several brewpubs in Quebec. There, he met and eventually married Chloe Smith, a brewmaster herself. 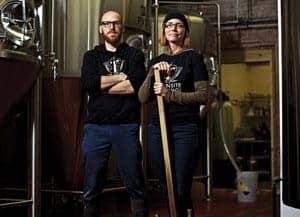 After learning everything there is to know about setting up breweries, they moved to her hometown of Saskatoon with the intention of starting their own. But after “chasing our own tail for a year and a half,” Dauchot saw Townsite’s advertisement for a head brewer and jumped at the opportunity. Skadsheim was nervous about bringing the couple – who were expecting their first baby – all the way to the remote northern end of the Sunshine Coast. But she needn’t have worried; as Dauchot puts it succinctly in accented but perfect English: “Saskatoon to Powell River is less far than Belgium to Canada.” To seal the deal, Skadsheim’s business partner offered the couple a beautifully restored apartment in the old Bank of Montreal building across from the brewery at a discounted rate. Most importantly, Dauchot says, “I had the freedom to put the brewery together the way I wanted.” Smith also hopes to brew at Townsite, although the brewery cannot afford to put her on the payroll yet. Maybe in a year or two, if things go well, but, for now, the brewery has three employees: Dauchot, Skadsheim and Michelle Zutz, who handles sales. For Townsite Brewing, the next few months will be crucial: summer is beer season, so it represents the greatest opportunity to sign up restaurants and bars and get its products out to the consumer. In addition to its Zunga (which is Powell River-ese for a rope swing over water) and IPA, the brewery will also produce Powtown Porter and Sun Coast Pale Ale, which will only be available on draft, and only on the Sunshine Coast. with one of Townsite's crafted brews. 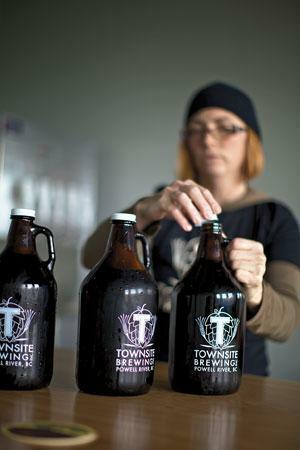 Townsite is only one of more than a dozen new microbreweries or significant brewery expansions in B.C. this year, all part of the boom that craft brewing has been enjoying here for more than five years. B.C.’s microbreweries have enjoyed sustained growth of more than 20 per cent a year since 2006, with an amazing 142-per-cent increase over the past five years (from $53.6 million for 16.8 million litres in 2006, to $130 million for 35 million litres last year). Four breweries have opened in the past year alone: Tofino Brewing Co. last spring; followed by Hoyne Brewing Co. in Victoria in December; Coal Harbour Brewing Co. in Vancouver, in January; and Parallel 49 Brewing Co., also in Vancouver, last month. Two “nanobreweries” are aiming to open this summer – North Vancouver’s Bridge Brewing Co. and Powell Street Craft Brewery Inc. in east Vancouver – and three other new breweries are in the planning stage in Vancouver alone, including one as part of the new student union building at UBC, purportedly the first on-campus brewery in North America. Surrey’s Central City Brewing Co. is building a new $20-million production brewery on city land close to the Pattullo Bridge, slated to open in 2013. Similarly, Red Truck Brewing Co., an arm of the Mark James Group, which also owns Yaletown Brewing Co., is building a $15-million facility on First Avenue, just off Main Street in Vancouver. Significant expansions are already underway or slated for Howe Sound Inn and Brewing Co. in Squamish, Lighthouse Brewing Co. and Driftwood Brewing Co. in Victoria and Nelson Brewing Co. Ltd. in the Kootenays, which celebrated its 20th anniversary last year. Even Steamworks Brewing Ltd. in Gastown is planning to grow, first by having its products bottled by a contract brewer, then by expanding its own brewing facilities. Opening a new brewery follows a standard template: lease or purchase a space with industrial zoning; apply for a development permit with the local government; apply for a brewing licence from the provincial government; order the brewing equipment; endure numerous inspections and hurdles as the space is prepared for use as a brewery; install brewing equipment (and undergo more inspections); apply to the Liquor Distribution Branch for listings for your beers once the brewery has been fully approved; and, finally, begin brewing beer and hope that the listings will be approved and, thus, that you will be able to sell the beer when it is ready. Once the beer is ready, the biggest challenge is to sell it, either to restaurants and bars willing to serve your beer to their clients or to individual customers who are ready to fork over their cash at a liquor store or at the brewery. The permit-application system is a bureaucratic obstacle course. Brewers complain that municipal development offices rarely seem prepared to handle applications from breweries, or that municipalities have limiting rules that make operating a brewery especially difficult. Local officials often react as if the brewer were applying to build a chemical plant or smelter. The modern craft-brewing process is a very green operation, with little pollution or odour other than perhaps the sweet, malty smell of the beer being boiled during the fermentation process. None of the tourists on Granville Island seem to mind when brewer Vern Lambourne is boiling a batch of his Pumpkin Ale or Fresh-Hopped ESB. 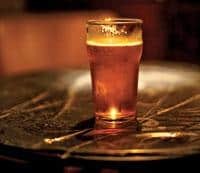 Brewpubs, in which beer is brewed and sold in the same building along with food, are notoriously difficult to open because unlike normal restaurants, which only require a “food-primary” liquor licence, brewpubs require a “liquor-primary” licence. The multi-step application process includes posting site signage, distributing flyers in the neighbourhood and, likely, a public meeting where local residents can voice concerns. Sometimes an expensive telephone survey may even be required. Each of these stages has a price tag: the City of Vancouver, for instance, charges from $801 to a maximum of $4,327, depending on how many steps are required. The provincial government adds further layers of regulation through the Liquor Control and Licensing Branch, and the Liquor Distribution Branch, through which all alcohol sales in B.C. flow. A common complaint from new breweries is that they can’t begin to sell their products until they have been completely approved, even if they have customers who are interested in pre-ordering. 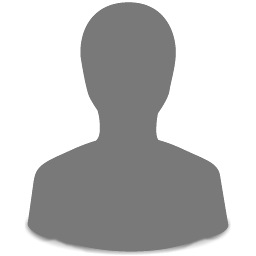 It can take weeks for a listing to be approved by the LDB, even though the process could be as simple as submitting the beer’s name and information through an online database. Even once a brewery is allowed to sell its own beer, all the money that comes in – whether from a keg delivered to a local restaurant or a bottle sold in its own tasting room – must be sent to the Liquor Distribution Branch. There, the largest portion is retained as taxes and “distribution fees” and, a month or two later, the brewery will finally receive its portion of the sale, which is well less than half of the sale price. At Hoyne Brewing, Victoria’s newest craft brewery, owner and brewer Sean Hoyne explains that though he started selling 650 ml “bomber” bottles and “growlers” (two-litre refillable jugs) at the brewery in December, the revenue was just starting to trickle in by mid-March. As well, in February, Hoyne Brewing applied for approval to sell its beer in government liquor stores, but it would not receive that approval until mid-April and, even then, only for one of its four core brands, Hoyner Pilsner. Another brand, Down Easy Pale Ale, was given a seasonal brew listing only, which means it will not be sold year-round. The other two brands will only be available at the brewery or from private liquor stores. 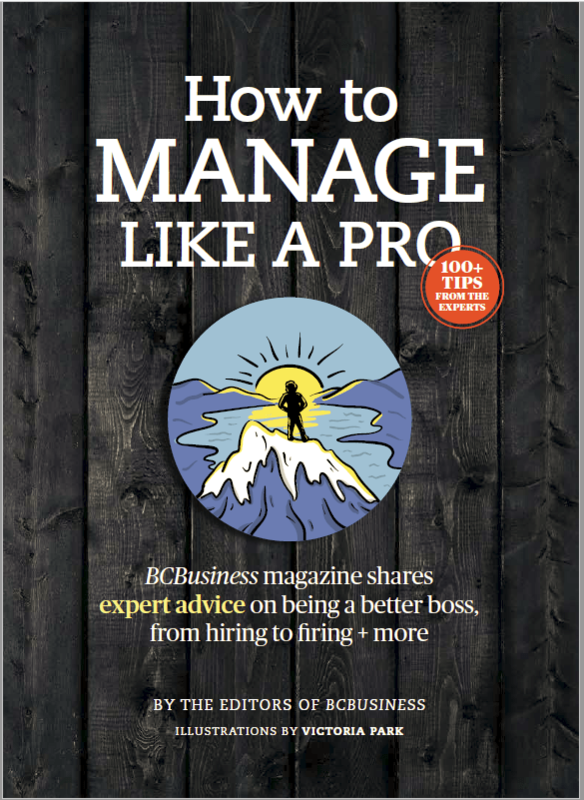 These are the facts of doing business with the B.C. Liquor Distribution Branch. Most brewers complain about the LDB – off the record – but few will say anything negative publicly for fear of encountering problems in the future. Hoyne won’t go on the record about the LDB either. Still, it’s easy to understand how an entrepreneur who has spent at least half a million dollars to open his brewery might be frustrated at being stalled just as he’s finally ready to sell his beer to an eager market. But Hoyne isn’t complaining. Quite the opposite; he couldn’t be happier. Opening his own brewery has been his dream going back more than 20 years. Although he studied graduate-level literature at UVic and still likes to bone up on the latest critical perspectives on Joyce’s Ulysses, he found his true calling when he responded to an ad seeking a brewer at Victoria’s newly opened Swans Brewpub in 1989. Hoyne brought a six-pack of his homebrew to the interview with Frank Appleton, who designed and built the brewery. Hoyne says he and Appleton sampled his homebrews and chatted, and by the time the bottles were empty, he’d been offered the job. He spent several years at Swans before moving on to the Canoe Brewpub just down the street, where he worked for the next 13 years. One big decision Frustagli and his partners made to avoid delays was to order their brewhouse equipment from a manufacturer in China in order to circumvent a backlog of orders for North American-made brewing systems. While part of that decision was cost-based, they also knew they could get the equipment much more quickly, even factoring the extra four weeks it would take to ship it from China. Last fall, the owners and With flew to China and visited the factory, where they were impressed with the professionalism of the staff and the quality of the equipment. The brewing equipment arrived on January 31 – With’s 30th birthday – but, unfortunately, the two Chinese engineers that the company sent over to help set it up were denied entry by Immigration Canada. Frustagli enlisted local MP Libby Davies’s assistance in writing a letter on their behalf, citing that these men are professional engineers with families and mortgages in China. Eventually, they were approved entry. Overall, With says the most important choice he and his partners made had to do with the floor. Having worked at a couple of other breweries, he knew how important it was to have a proper, slanted floor so that spilled liquids flow naturally to drains (there is a reason why brewers tend to wear rubber boots). It also needed to be reinforced to support the heavy brewing equipment. The pre-existing floor was completely dug up and re-poured, with a high-tech environmental buffering system installed to handle the chemicals used for cleaning the tanks or in case of a large spill of yeasty beer, which can be hard on the sewer system. The price tag for the floor alone was about $200,000. Parallel 49 intends to open a public tasting room at the brewery in 2013, and with Coal Harbour Brewing across the street and another long-standing city brewery, Storm Brewing Ltd., a couple of blocks away, the area is on the way to becoming Vancouver’s brewery district. 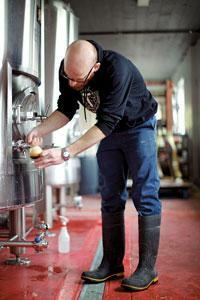 The way the craft beer business is booming in B.C. right now, there might be a few more before too long. It’s not quite Portland of the north, but it’s getting closer.